Fall is my favorite season of the year. I love chilly mornings and evenings and warm afternoons. I love making chile and soups and baking. I love using the shortened days to snuggle up in the long evenings with a good book. A good book. Now there is something I haven't enjoyed this summer. Summer is never a good time for reading for me. I have so much else going on and I fall into bed each night exhausted. 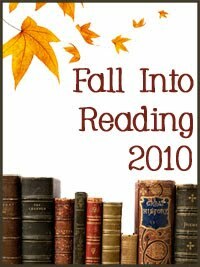 So when I saw that it is "Fall Into Reading" time over at Callapidder Days, I can't deny I felt a twinge of excitement as I wondered if I dared to do it. Should I take the challenge? If I commit, will I be able to follow through? I gave it about 2 days thought and then I decided to jump in. I was the 175th person to sign up. I encourage you to join the many of us who love to read. You can find all the rules and sign up right here. I can't wait! I am going to be realistic and not go overboard with a humongous list. I have chosen the following books to read in the next few weeks and in fact, I have already started! The Swan House by Elizabeth Musser. This book was recommended to me by my blog friend Dawn of Call Me Grandma Dawn. She is an avid reader and I have always found her recommendations to be excellent. I have actually read the first two chapters and I can tell I am going to be captivated by good writing and a mesmerizing storyline. Choosing to SEE: A Journey of Struggle and Hope by Mary Beth and Steven Curtis Chapman. I heard Steven Curtis and Mary Beth on Family Talk with Dr. Dobson and my heart was so touched by their tragic loss. I ordered the book on my Kindle that same day. So Long Insecurity by Beth Moore. I have had this book for several months but just haven't started it. I really want to read it and I plan to have my highlighters ready because I just know it's going to be full of quotes I will want to remember. Her Mother's Hope by Francine Rivers. Francine is my all-time favorite author and I can't believe I haven't read this book yet! It's a "fat one" and I am looking for the perfect time - a long weekend, the first snow or a holiday. I already know I don't want it to end. The Veritas Conflict by Shaunti Feldhahn. I ordered this one of my Kindle a couple of months ago when my friend at work, Heidi, recommended it. It sounds fascinating and I look forward to a good read that will make me think. So there you go. It's only 5 books and I have until December 20. I'm pretty sure that won't be too much of a problem and in fact I already have a few more books up my sleeve to add to my list if I end up being an over-achiever. So, what's stopping you from joining the challenge??? So back at the beginning of the summer I wrote a post about my attempt to grow tomatoes in the upside down tomato thingy's that are advertised on tv and are in several stores. I have been promising an update on their progress. I guess overall I have been disappointed. The Roma's produced well in quantity but in quality they were small. The Beefsteak was worse. So far it has produced one tomato that is still green. In their defense, I did not fertilize the plants other than planting them in Miracle Grow dirt enriched with fertilizer. And many people from our area didn't get good tomato's this year even growing them upside right in the ground. I think I will give this one more try next year and will try adding fertilizer. If I don't get a better yield I will declare the Upsidedown Tomato Thingy a scam. This Weekend, I . . .
* Spent most of the weekend in Atlanta, GA at a work conference. The conference was very informative and I learned a lot that I look forward to putting into practice at my job. * Toured the CNN building in Atlanta and watched Fredricka Whitfield live as she reported the news. It was a fun tour. * Flew from Boise to Salt Lake to Nashville to Charlotte to Atlanta to Phoenix and back to Boise. With NO medication. I'm quite proud of myself. But I still don't like flying. * Watched two drunk women try to get on a plane at the airport. One wasn't allowed on at all. The other was allowed on, the plane taxied away and then came back and made her get off. Apparently she was "touching" people on the plane. As they were both sitting together in the boarding area and the security personnel were discussing their plight, one looked at the other one and said "She looks fine to me". Oh my. * Attended our church's annual Family Fair and Round-up at the fairgrounds. It was a great day with perfect weather. * Ate a bowl of Honey Nut Cheerios for dinner. Sometime a bowl of cereal is just perfect for dinner. * Brought Ava Claire home with me for a few hours. We colored, played ponies, played on the swing set, played babies and took a nap together. That little girl just melts me. How about you? Link your post over at Becky's and let us all know what your weekend was like. Since June, several times a week, five to six times to be exact, my husband and I have been walking a route with a rather steep incline, 3 to 4 miles a day. I feel like we need to just take a minute and let that sentence soak in. Because that is truly an incomprehensible thought. I have the slowest metabolism on the planet. I have always said if it were any slower I would be in the grave. So to take on this activity is truly something akin to a miracle. I was telling a friend today that I don't know how in the world I got into this "zone" but I'm going to keep up with it as long as I can. Anyway, on this walk one of the things we have enjoyed is watching the summer season turn into autumn. We have watched a potato field be planted, grow and harvested. We have watched an apple orchard produce sweet, juicy apples. I thought it might be fun to take you on our walk with us. So put on your tennis shoes, drink some water and let's go. First we leave the house and walk the first 1/2 mile stretch to the highway. There are always two hawks sitting on a telephone pole. Since hawks are known to mate for life we assume they are Mr. and Mrs. Some days they are sitting close together. Sometimes they are sitting with a good sized space in between them. Other days they have been on two separate poles. I guess married hawks and married folks have some similarities. As we approach the highway we make a game of measuring whether we can cross without stopping. There really isn't all that much traffic on it, so usually we go right on across. On the corner is a pasture with four horses in it. My husband likes to call out to them and now they know his voice. When they hear him, they usually start ambling over our direction. Next we pass a house on the left with two barking dogs who bark at us from the deck of the top floor. Their tails are usually wagging too so I think it's a case of "their bark is worse than their bite". At least that's what I choose to believe while praying for no close encounters with them. It's at this point that our incline begins to increase ever so gently. In the beginning of the summer this is where I would begin huffing and puffing. Now I barely notice. We pass a home on the left that has a nanny goat tied to the outside of the fence most days. Apparently her job on the farm is to keep the grass short and she does a good job of it. Every evening she is moved to a different spot further on down the fence. A few days later, she starts over again. She is a timid soul and if we get to close she bleats at us. We usually tell her something like, "Good job Nanny, you should be really proud of yourself". She seems to understand as she stands still and watches us pass by. This is now where the incline is getting very steep. I try to ignore that fact by studying the apple orchard on the right. What fun it was to watch the apple grow from blossoms to little green and finally dark red fruit. We have seen the process of setting the large crates throughout the orchard and watched the migrant workers picking them by hand. The other day my husband asked in his limited Spanish if we could buy some of the apples. The nice worker gave us 4 apples and wouldn't take any money for them. What a sweet treat on a long, hot walk. Now the incline is seriously steep and I am eagerly searching for the mail box that is our marker - the place we turn around. Somehow I get a second wind and when we reach the mail box we talk ourselves into going just a bit further, up the steeper yet part of the hill to the irrigation canal. Two golden retrievers bark their greetings to us from the house on the right and we continue putting one foot in front of the other to the top of the hill. Whew! By now the sweat is rolling, the lungs are heaving and I'm sure I am going to die. But the thing is when I make it this far I know I have it licked because it is half way. My only choice now is to finish this route by turning around and going home. We usually make to our front door just as the sun is nestling behind the hills of the Owyhee's. Inside there is a glass of ice water waiting for me on the kitchen counter. Drinking deeply of the sweet, cold water I mentally pat myself on the back for staying on track one more day. We talk of what it will be like walking in the winter. We look forward to seeing the fields and the orchard come to life again in the spring. I anticipate the long, hot days of summer again. Our goal is to walk this route for an entire year and then we might look for a new one for the next year. This is such a small thing we have added to our daily routine and we marvel at how much enjoyment it brings. * Enjoyed a wonderful three day weekend with NO agenda. Totally relaxing and enjoyable. * Walked a total of 11 miles. *Weeded my pond garden and cleaned the pond filters. * Bought a new flat-screen HD tv. It's not a big one because as my husband says "Let's not be greedy" - but it's bigger and nicer than what we had. * Ate freshly picked corn on the cob and tomatoes for dinner - twice. * Moved furniture around in the bedrooms. We made our spare room into a "Baby room" with a daybed, trundle, crib and toys. * Moved my sewing room to the spare room off the garage. Much bigger, better light and I think I'm going to love it. * Read "Broken on the Back Row" by Sandy Patty. Impressed with the whole restitution process she went through with her pastor and church. No matter what - she has the most beautiful voice. I've been listening to "Another Time Another Place" a lot this weekend. * Made a carrot cake. * Watched Boise State come on strong, get behind and then rally during the last 4 minutes of the BSU- Virginia Tech. game. Not sure I have a whole season of football in me if that the the kind of nail biting games we are going to have. GO BOISE!!!! * Loved on my favorite new little grandboy. And my favorite oldest grandboy. And my favorite grand girl. * Packed my bags. Yep, I'm gone this week on a business trip. And yes, I'm flying. To lots of places - work related. Will even be flying on September 11 which blows my mind. This is challenging for a couple of reasons. Prayers please! Join us at Becky's and share what you did this weekend! In 2008 I received two of the greatest blessings of my life. My little grandson Tyler was born in May and my sweet granddaughter Ava Claire arrived in September. The arrival of Aiden Ryan last week has added extra thrill and excitement into our lives and we are basking in his newborn sweetness. Did you know that nothing, and I mean nothing, smells better than the top of a newborns head. The scent is absolutely heavenly. I have had the privilege of snuggling this little guy and I just. can't. get. enough. I love him so much. Just like a roasting marshmallow over a flame, my heart has grown and melted all at the same time. Love has filled me until I think I might explode. And simultaneously, my newly enlarged heart has melted as I hold each of those sweet innocent lives in my arms. My joy knows no bounds. Being a grandmother has filled me with new energy and optimism. I have had the privilege of spending lots of extra time with Tyler while his mama tends to his new little brother. What fun we have had! I have learned this week that I am going to spend more time with each grandchild individually, and not always all of them at the same time. You learn so much about each one when it is just one-on-one time. Tyler has made me laugh more than I have laughed in such a long time. For instance, whenever I put on my reading glasses he peers at me seriously for a moment and then his face breaks into a big grin and he points at me and says, "Mia has goofy glasses!" Why is grand parenting so much more fun that parenting? 1. Support your grandchild's parents. Keep in mind at all times that they are the parents, not you. It may be tempting to continue parenting them in their parenting - but resist the urge! I have found this to be especially true in the discipline and dietary areas of my grand kids upbringing. Now is the time to sit back and enjoy the fruits of your own parenting labors - and trust me, it is a true joy to watch your kids in action. They will do a better job than you did! And that's just how it should be. Occasionally your kids will come to you with questions or asking your advice and that is the ONLY time you should give it - when they ask! 2. I believe the most important thing I can do for my grandchildren is pray for them. Seriously. Can you imagine raising children in today's world? My grand kids will face things my own children never dreamed of. It is harder and harder to keep the world from corrupting and polluting little minds. A couple of years ago I had the privilege of attending a Beth Moore conference. During one of the breaks she went into the audience and scooped up little babies out of their mama's arms. She oohed and aahhed over each one and then she did a most precious thing. She laid her hand on the baby and prayed a specific Bible character's attributes over each one. Nothing blessed me more in that whole conference than watching that. I was sitting next to my own pregnant daughter (who went into labor that very night) and I determined right then and there that I would claim a specific Bible character for each of my grandchildren, learn every Godly trait about them that I could, and pray for those same qualities for each of my grandchildren. What a joy it has been to do that. I have even written a letter to each child telling them who the Bible character is that they are being "prayer-modeled" after so that many years from now - they will know that their grandmother prayed for them. I can't think of a single thing I could do that will have more eternal consequences than this. 3. Get to know them. What do they love? What makes them happy? What talents and gifts do they possess? What are their fears? What books do they love? What foods do they love and what foods do they hate? Spend time alone with each grandchild and make them feel like they are the one you love the very most of all. 4. Read to them. I keep plenty of books on hand and I love to read to my grand babies. Sometimes they sit still and sometimes they don't. It doesn't matter - keep reading. Children hear even when they are busy and the melodic, rhythmic sound of reading is good for their little souls. 5. Take advantage of every opportunity to educate. Count everything with them. Count rocks and butterflies, shoes and books. Sing ABC's to them. Point out things that start with B and D and T. . . Learning doesn't have to take place at a desk -it takes place with every interaction. Capitalize on the opportunity you have as a grandparent to teach your sweet grand babies. 6. Spend more time than money. Sometimes grandparents can get caught up in the trap of buying, buying, buying - thinking that is showing love to your grandchildren. All it really shows them is that they can get what they want from you. By spending time with them they learn to love and appreciate you for just being who you are. Of course, the occasional special gift is awfully fun to bestow upon an unsuspecting and unassuming child! 7. Something I plan to do with my grand kids is tell them verbally something God has said or done for me during the day. I wish I had done this with my kids more. I think it makes God more real to them when they see how real He is to me. So, there you go - seven ways to be a more effective grandparent. I'm sure there are many more. If you have any ideas, share them with me - because like I said, I want to do this right. I absolutely love this time of my life! You will soon notice a new ticker in my sidebar! This is my way of announcing that grandbaby #4 is on his/her way. I tell you, it just keeps getting better and better!!! Ughhhh..... I don't know why it takes me so long to write posts anymore. I have things I want to write, I am constantly writing posts in my mind - but wow - the time just slips away. But I am coming down from the busiest time of my job, the days are getting shorter and I am starting to spend more time in the house, so maybe, just maybe I will be posting more regularly. No promises though! Today is September 1. Unbelievable. We didn't get warm, summer-like weather until after the 4th of July so it just doesn't seem possible that autumn is right at the doorstep. This past week has been very "fallish" and there is a feeling in the air that tells me we are going to have an early winter. That makes me sad. I love summer so much and I'm just not ready to give it up. School started this week at the university I work at. After several weeks of a quiet campus it is always fun to see the students come back again. I remember fondly my freshman year of college - right here on the campus I work on. It was so hard to leave my family and move so far away - but it was the best thing I ever did. It changed my life in so many positive ways and I love watching students arrive and know that in many cases they will say the same thing someday. Life is so fresh and exciting when you are 18 - so many things are possible. I know so many moms and dads are praying for their kids as they begin this journey. What a great time of life. Sweet Aiden Ryan has now been a part of our family for 4 days and we are loving him so much. He seems to be a content little boy and even though I am probably seen as a prejudiced grandmother, I think he is very bright. When I talk to him he just stares intently at me and works his little mouth so hard, like he wants to talk back to me! He tracks me with his eyes and really enjoys hearing my voice. Tyler loves his little brother. On Sunday morning he was crying and Tyler patted his head and said, "Oh baby, do you want to go home?" His daddy was quick to tell him that he was home! It just made me laugh! What fun days they are having in their home. Our sweet Ava Claire gave us quite a scare last week. I was at work when I got a hysterical phone call from my daughter. The only word I could make out was "ambulance". At first I thought she was trying to tell me that one of her students had to go in an ambulance. Then I caught the word "Ava" and my heart just stopped. I tore out from work to the local hospital ER and found my sweet grandgirl as gray as could be, lethargic and still. It seems that she had a febrile seizure which was brought on by a fever that came over her very quickly. I can safely say I have never prayed so hard as I did on that ride to the hospital. Our sweet girl had a fever of 104.4 - no wonder she was so pitiful. She has recovered well and is her sweet little self again. She is undergoing some further precautionary testing but I feel confident that she is perfectly fine. I am working on Christmas gifts. Yes, I know. I'm not even ready for fall and I'm working on Christmas. But with a family that keeps growing like mine, it's never too early. And it's so much fun to plan and prepare gifts for the people I love most in the whole wide world. This Monday marks the beginning of football for the Boise State Bronco's. I am so looking forward to the game between BSU and Virginia Tech. I even bought my very first blue and orange t-shirt to wear. I can't wait! I think we will make hot wings and fries. BSU has really made a name for itself in the world of football and it's fun living in an area that everybody has a new-found interest in. Well, that's a synopsis of what has been going on around here lately. I really am going to try to blog more regularly.